To try and understand diseases such as liver disease and inflammatory bowel disease, Professor Arthur Kaser discusses how our researchers are investigating what causes them to occur so they can develop novel treatments to help people. Primary biliary cirrhosis (PBC) is an autoimmune disease of the liver. When something doesn’t work properly in the immune system it attacks healthy tissue instead of protecting the body from infection. Patients diagnosed with PBC have cells that target the liver scarring it, therefore causing serious problems. 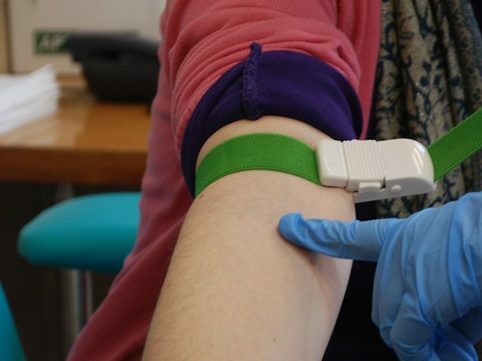 Researchers from Cambridge wanted to understand PBC, how it affects patients and whether they would be able to predict those who would be at risk of liver failure. Working alongside the NIHR BioResource – a resource of thousands of volunteers who wish to take part in research, researchers looked at a group of 2,000 patients with PBC who use ursodeoxycholic acid (UDCA) to help with their condition. From studying this large group of people and samples given, they were able to identify high-risk patients who could go on to develop liver failure and would need a liver transplant within the next 15 years. After further investigations, researchers created an accurate scoring tool to identify patients at risk. Clinicians can now recognise patients who need to be closely monitored, or who may need extra therapies and identify those who are appearing as low risk. The Risk Score Calculator has been adopted as part of national guidance from the Advisory Committee for the Safety of Blood Tissues and Organs and many hospitals are now using the tool.